Foraging has been so popular in restaurant lexicon that if it hadn’t already existed, it would surely have been introduced into the Oxford English Dictionary alongside ‘foodie’. But while foraging is a fad that many would like to get into, few restaurants do it with style. However, on the island of Jersey, there’s one restaurant where foraging is at the heart of everything they do – Ormer by Shaun Rankin. Rankin’s Ormer only opened in May this year but it was able to secure its first star in the latest Michelin guide for Great Britain and Ireland, just four months after opening. 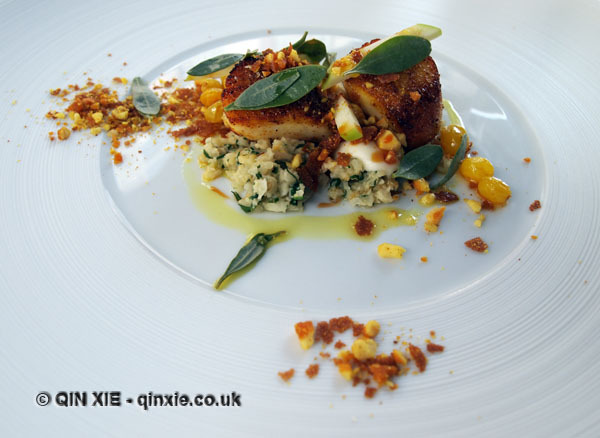 He had previously been head chef at Bohemia on Jersey where he also attained a star.